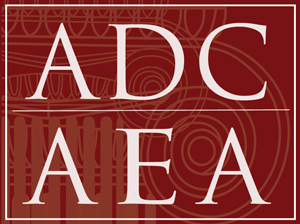 Association of Dealers & Collectors of Ancient & Ethnographic Art (ADCAEA) is an organization dedicated to providing resources, education, networking and support to advance the responsible and legal trading and collecting of ancient and ethnographic art. Illegal excavations and looting have exponentially increased since the Arab Spring of December 2010. These actions have damaged many historical sites and museums, and important cultural property has disappeared especially in Egypt and Syria. Numerous archaeological sites are being systematically targeted for clandestine excavations by well-organized and often armed groups. Sites situated near the Syrian borders are, in general, more susceptible to being targeted by looters who take advantage of their location to quickly and illegally export artifacts out of Syria. The US State Department report ISIL organized groups are using social media to sell black market antiquities, bypassing the legal trade and auction houses. Given the current crisis, ADCAEA are releasing their Due Diligence guidelines for public use. The ADCAEA Due Diligence Guidelines can be viewed and downloaded by clicking this link: 1015_duediligence.pdf. Note: ADCAEA guidelines are provided as an information guide only. They are not a full and authoritative statement of the law and do not constitute professional or legal advice. Become part of the fastest growing association for ancient and ethnographic art. The trade in ancient artifacts and artwork is the most heavily maligned, scrutinized, and regulated of the entire art and antique market. It is also among the most financially insignificant sectors of the art market. The antiquities trade has long suffered from disparaging criticism from a small but extremely vocal group of detractors who insist that collecting ancient art invariably encourages looting and destruction of archaeological sites. In recent years this unsubstantiated claim has gained remarkable traction. As a result, several American museums have been coerced into giving objects to foreign governments that have claimed them as their rightful property purely for political purposes. American collectors and art dealers as well have been forced to repeatedly defend themselves against all manner of claims by foreign governments for countless pieces of artwork that have been dispersed around the globe. Increasingly, Americans have had to defend themselves in costly litigation against foreign governments who use American lawyers, US Customs, and Homeland Security, and the Press to pursue spurious claims against US citizens. At the same time these foreign nations do very little to protect their archaeological resources or stem the tide of illicit excavation on their own soil. The old paradigm of “antiquities collecting equals destruction of cultural heritage and therefore must be abolished” is naïve at best and slanderous at worst. The time has come to reassess the situation. Although based in the USA, membership is open to all international dealers and collectors. Click HERE for more information and to join. This site is a public resource for general information and opinion about cultural property issues, and is not intended to be a source for legal advice. ADCAEA is a non-profit organization.